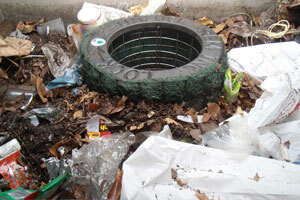 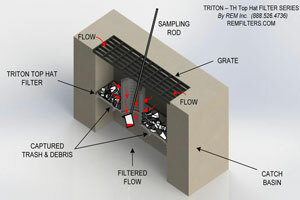 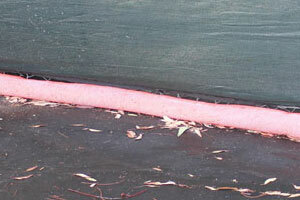 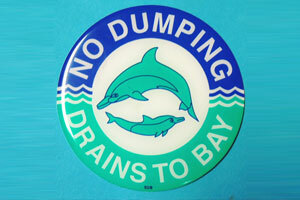 REM Triton Curb Inlet Filter – The REM TRITON™ Curb Inlet Filter Insert (Patent Pending) is an effective and economical stormwater BMP treatment solution designed to help property managers, commercial enterprises, industrial firms and public municipalities meet stormwater quality requirements and regulations. 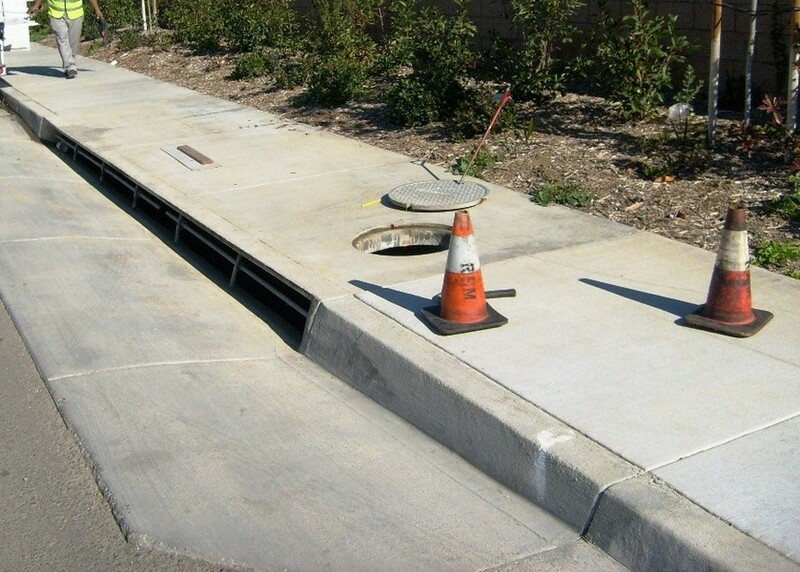 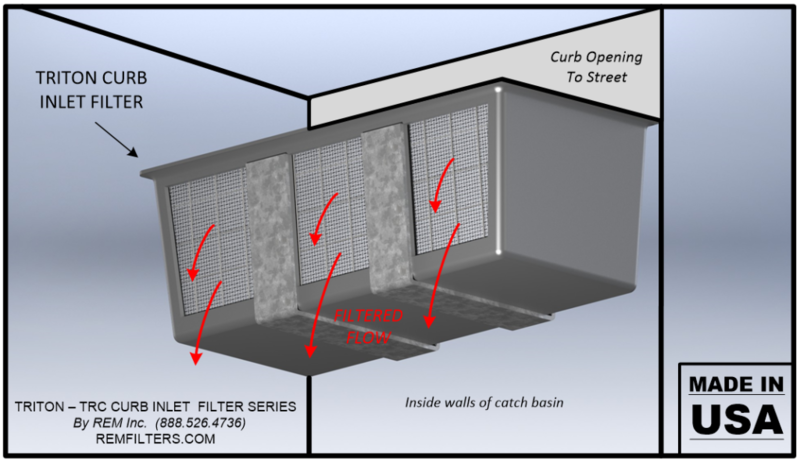 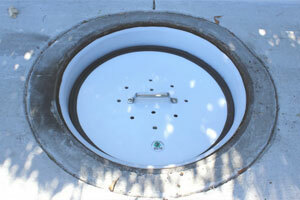 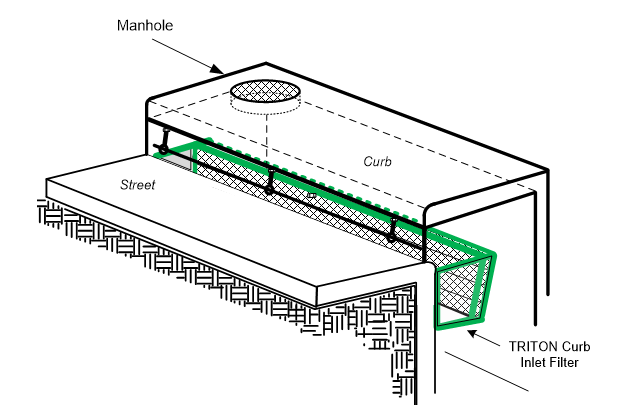 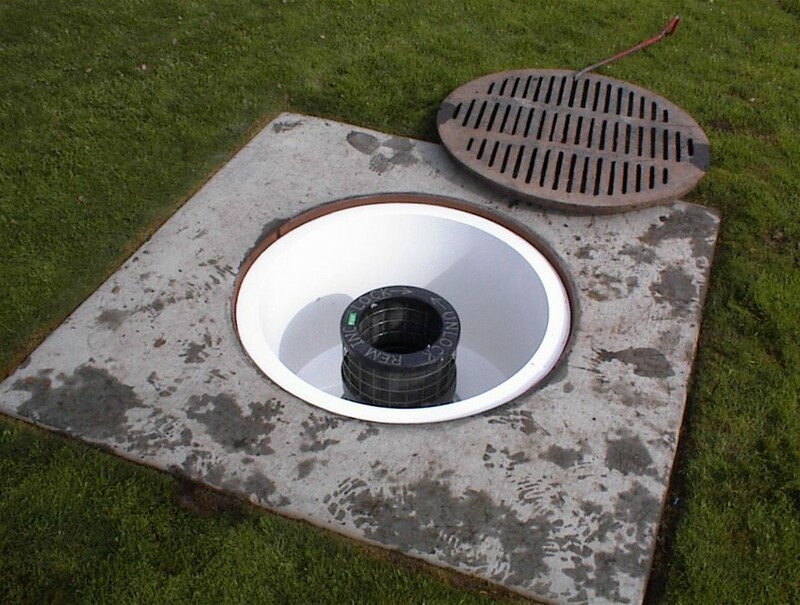 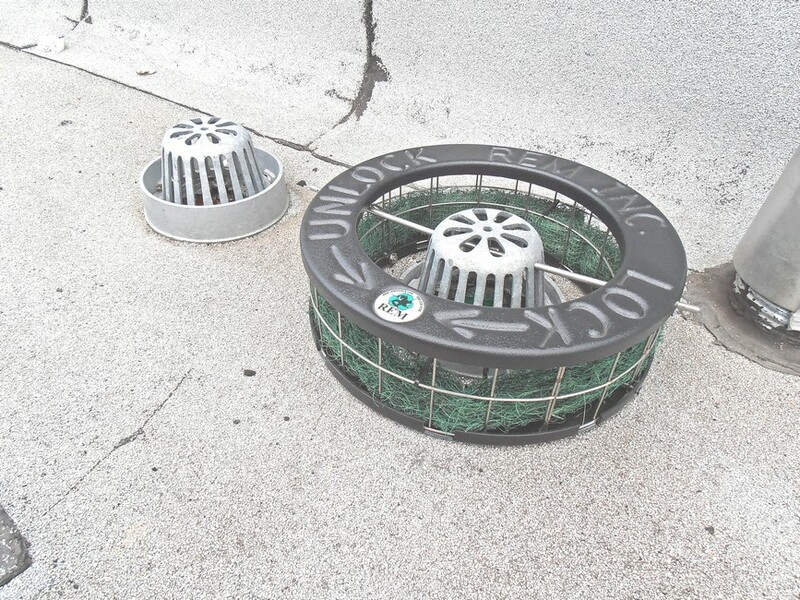 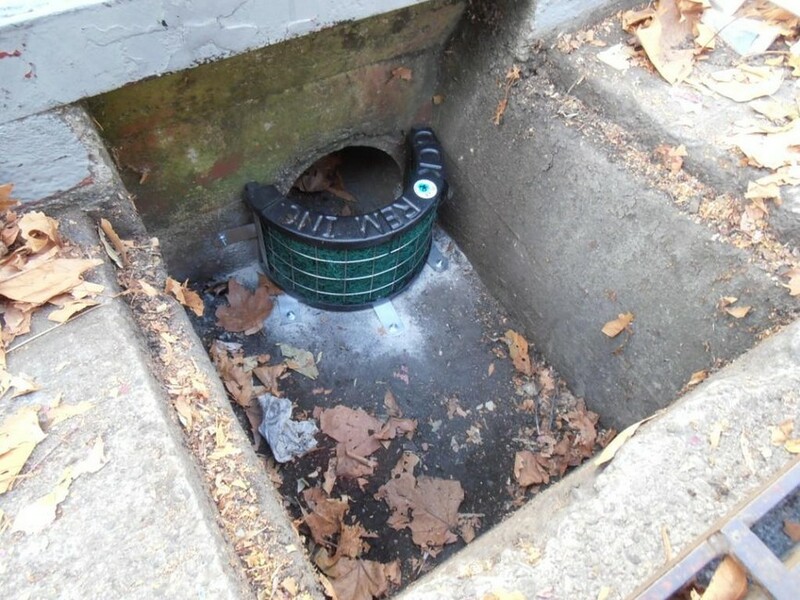 Easily installed immediately below the curb cut opening inside catch basin structures, the REM TRITON™ Curb Inlet Filter utilizes a patented media cartridge system that effectively removes pollutants from stormwater. 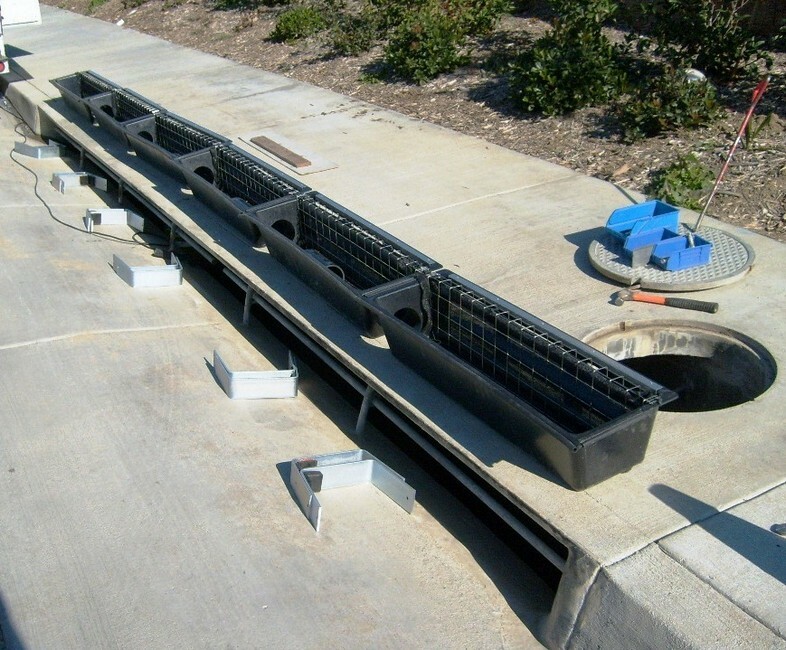 Available for horizontal curb cut openings from 2 to 40’ in length. 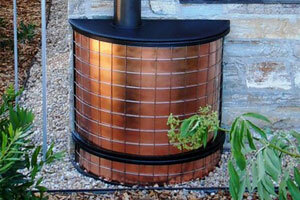 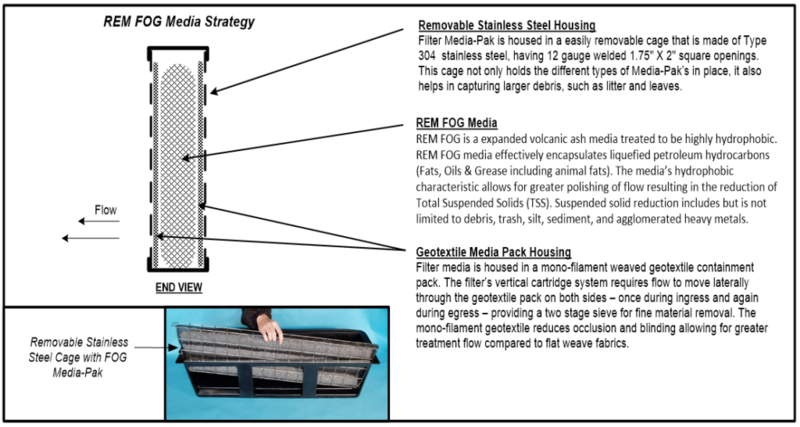 Media strategy may be custom configured for specific pollutant concerns. 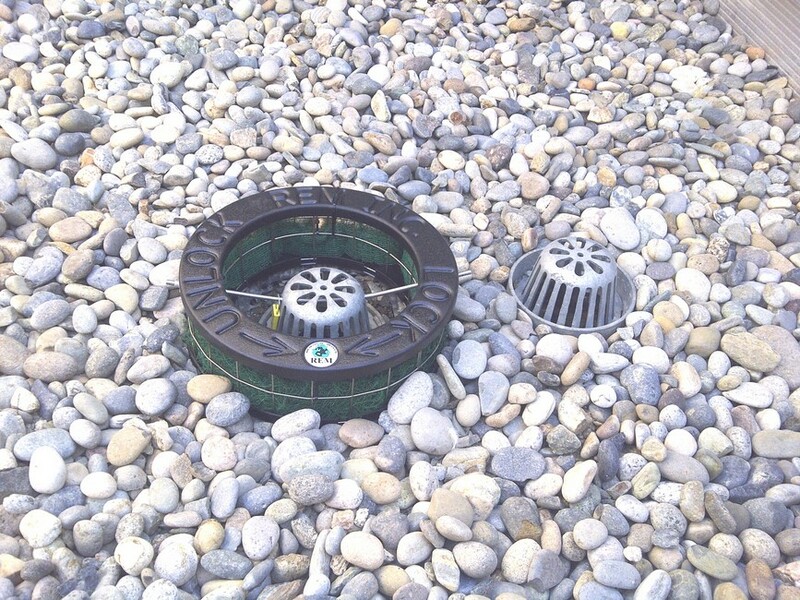 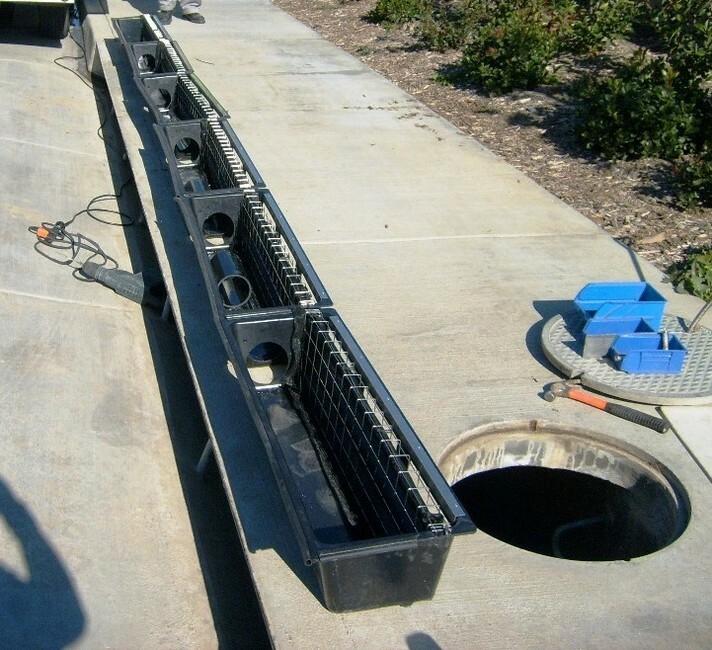 The TRITON Curb Inlet Filter™ (Patent Pending) is an effective and economical solution to help property owners, corporations and municipalities meet stormwater quality requirements and regulations. 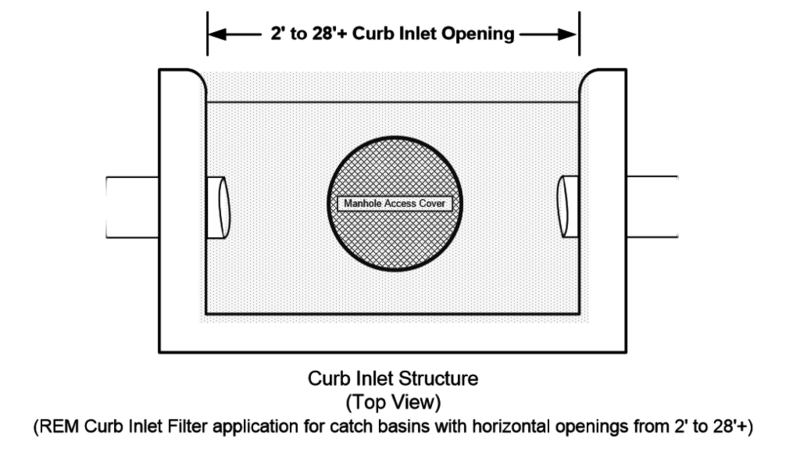 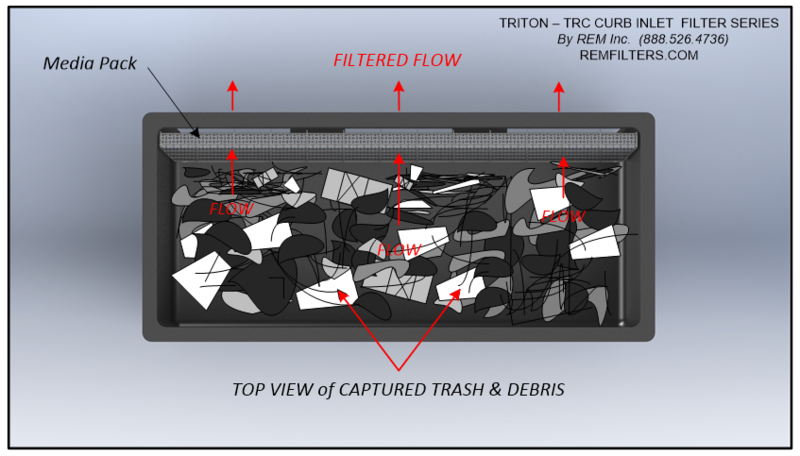 Easily installed immediately below curb inlet opening inside catch basin structures, the REM TRITON Curb Inlet Filter utilizes a patented media cartridge system that effectively removes pollutants from stormwater. 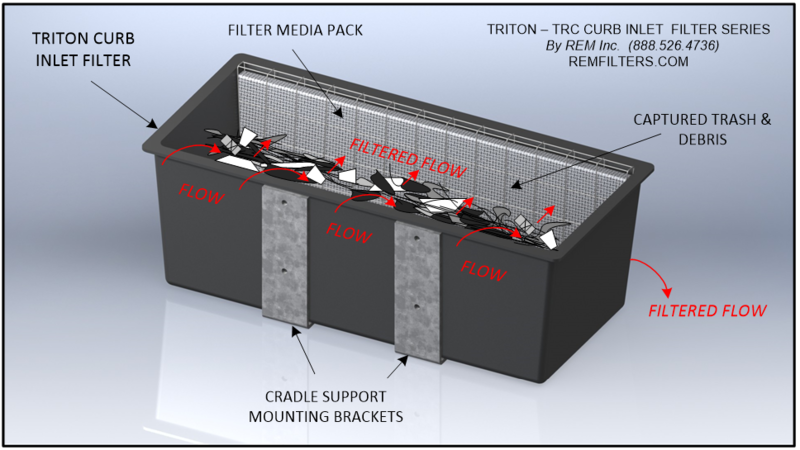 The REM TRITON Curb Inlet Filter gravity fed vertical and linear cartridge system treats flow laterally through a three dimensional media pack element resulting in reduced occlusion and increased flow over a range of rainfall intensity. 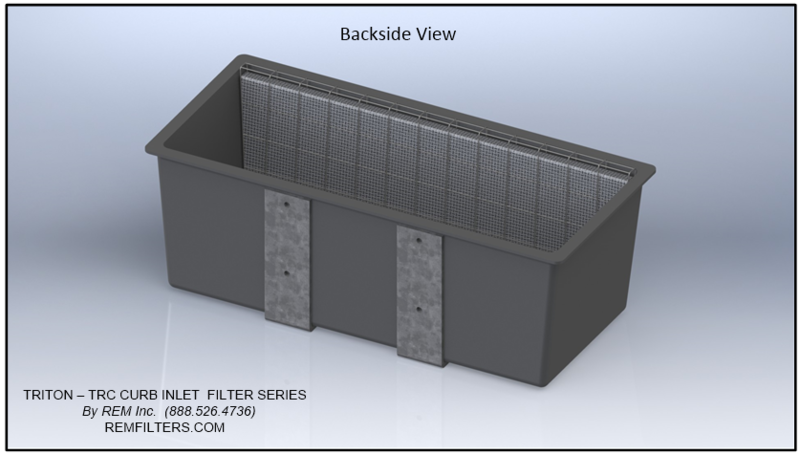 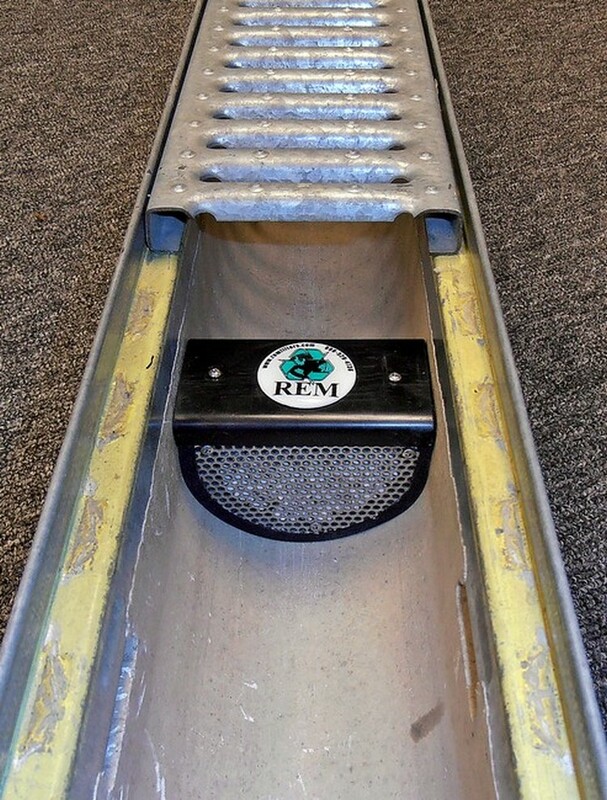 The REM TRITON Curb Inlet Filter linear stainless steel media cartridge slides in place along a groove molded on the backside of the filter bay and fastened with a cable ties allowing quick and easy removal for maintenance. 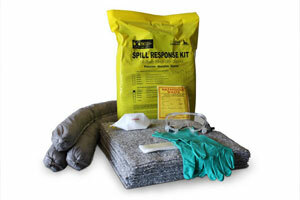 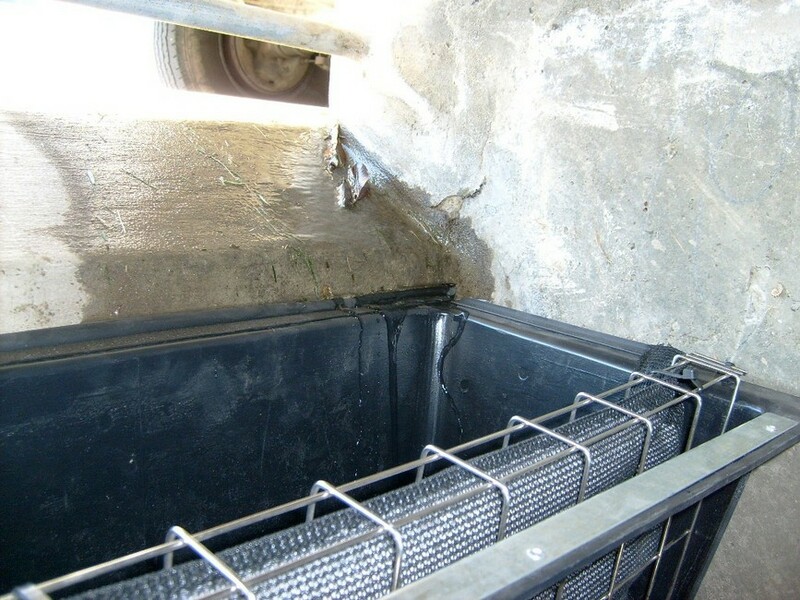 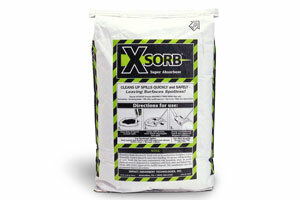 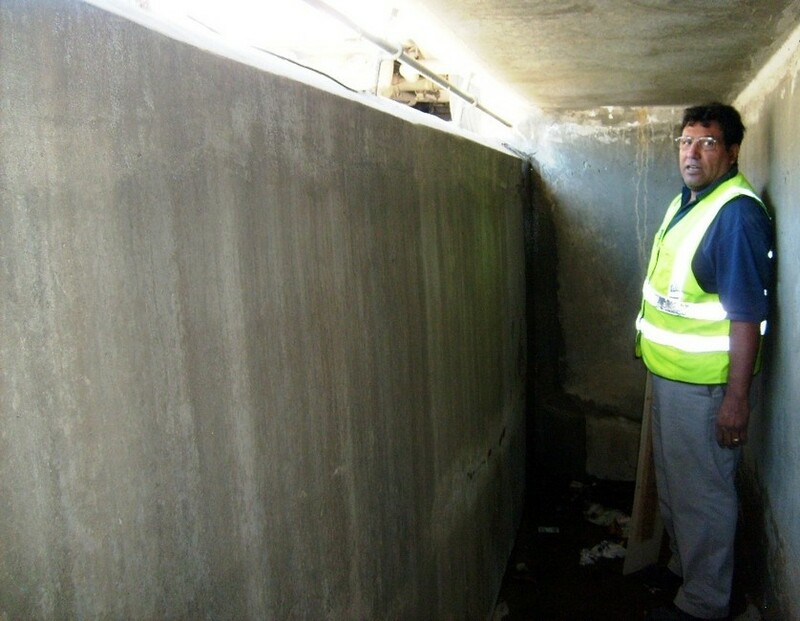 The cartridge houses replaceable filter media packs that treat stormwater for pollutants including liquefied petroleum hydrocarbons (Fats, Oils & Grease including animal fats) and Total Suspend Solids (TSS) such as trash, sediment, silt, vegetative debris. 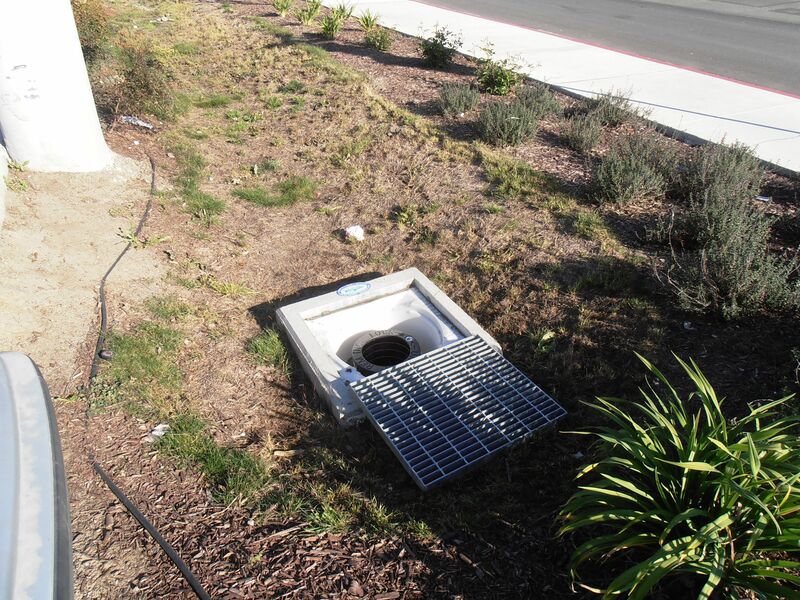 Media strategy can be configured to address specific discharge concerns. 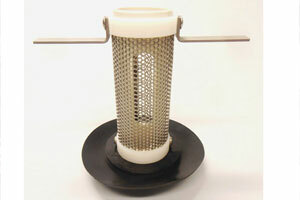 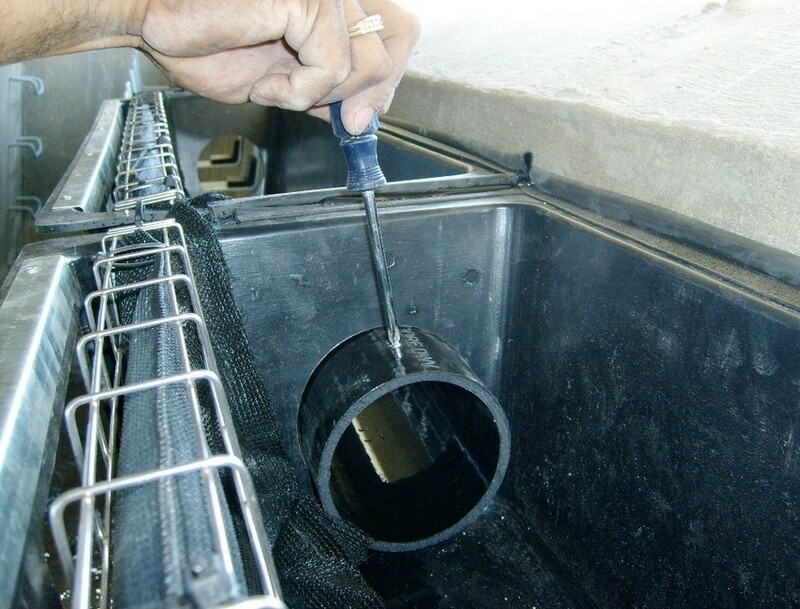 For instance, a common strategy for removing metals includes blending REM FOG (a high quality hydrophobic expanded perlite), AC (activated carbon, and ZEO (zeolite) media. 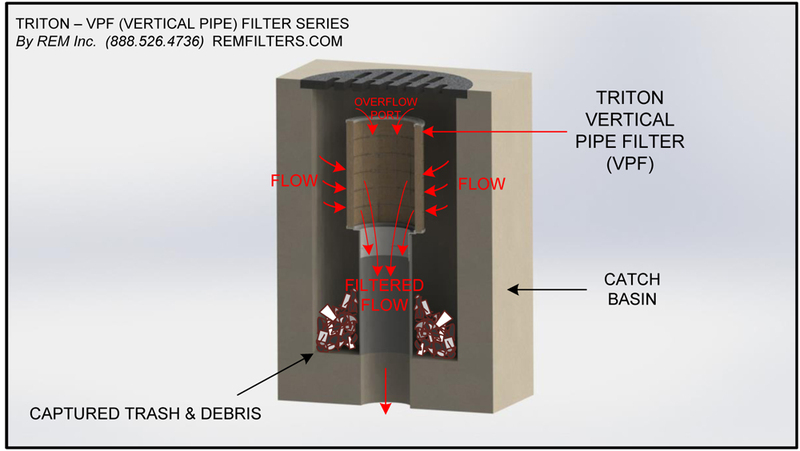 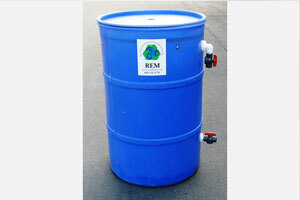 REM | Revel Environmental Manufacturing Inc.
REM TRITON filters offer quick and easy maintenance made available with replacement media packs. 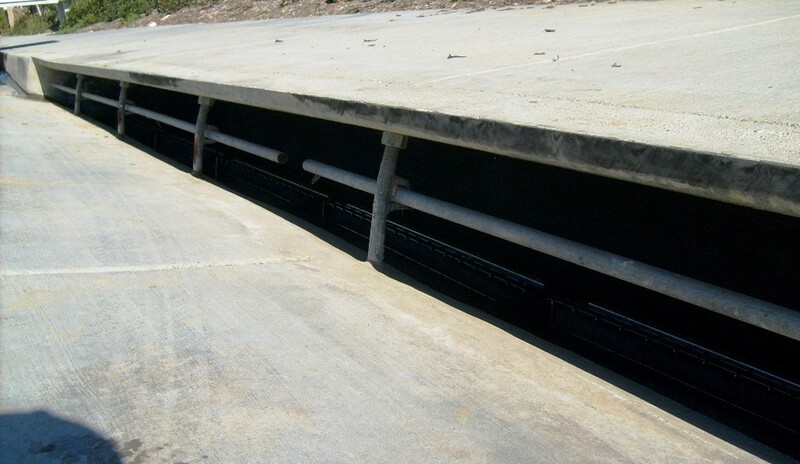 The REM TRITON Curb Inlet filter is modular and scalable in design allowing for maximum capturing capacity for virtually any length curb opening – ranging from 2’ to 28’ plus in length. 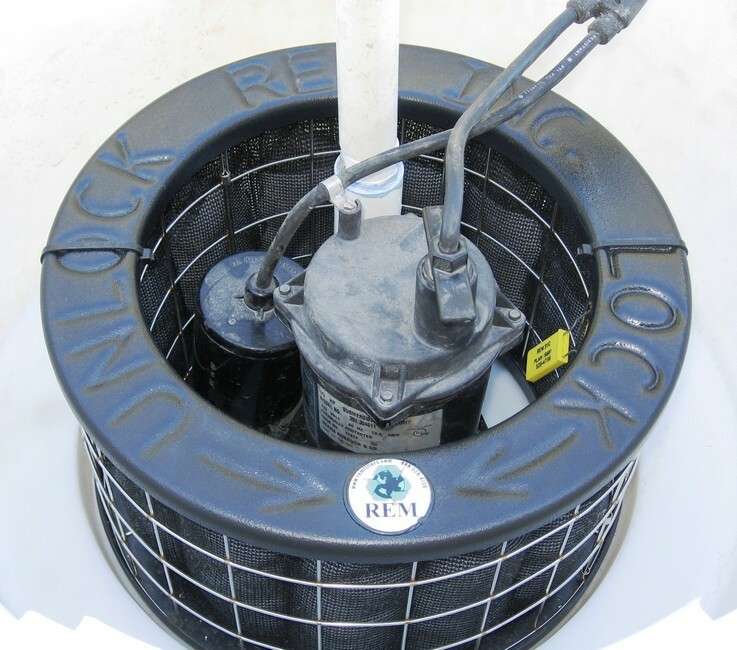 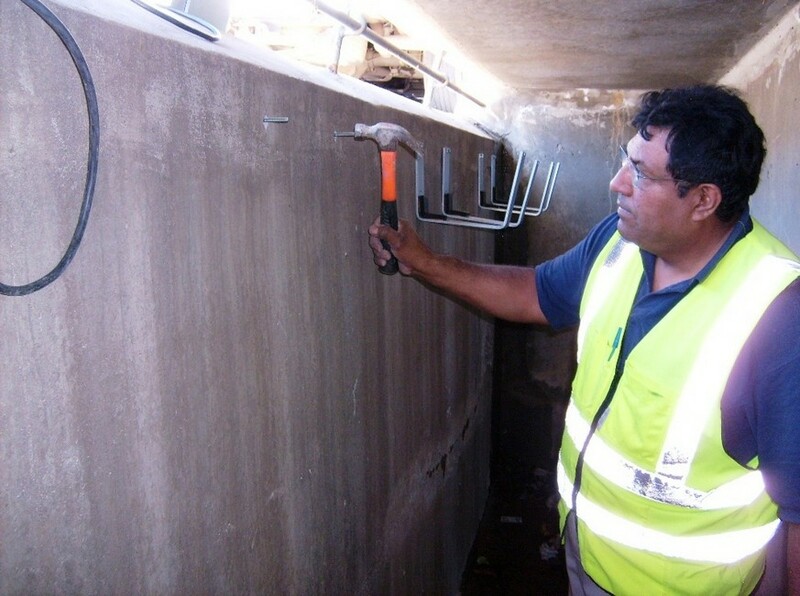 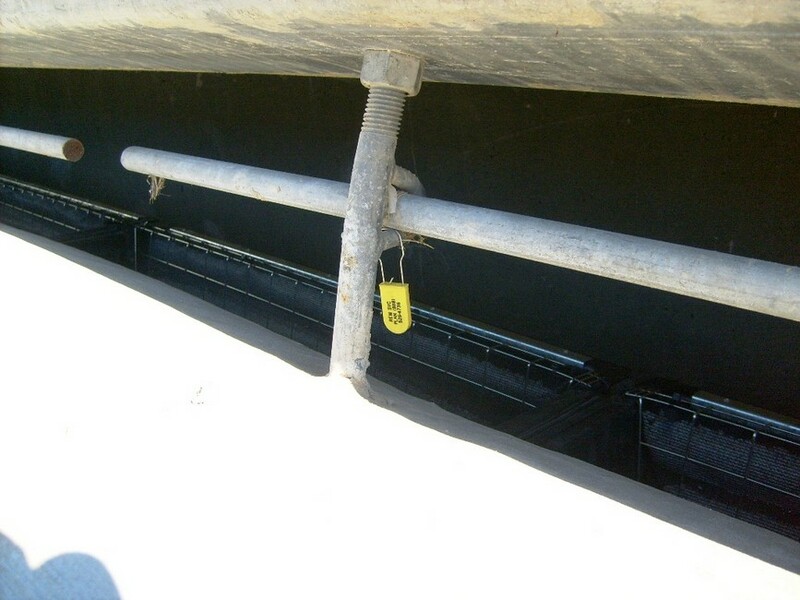 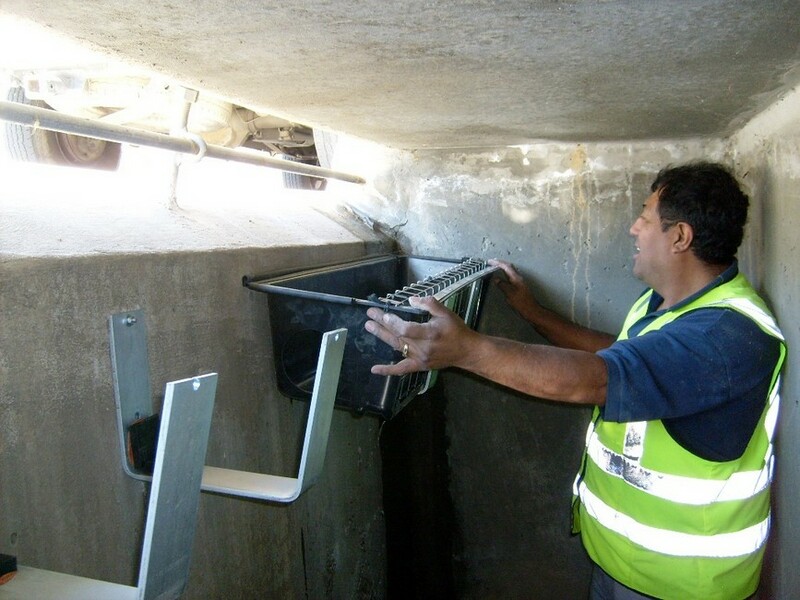 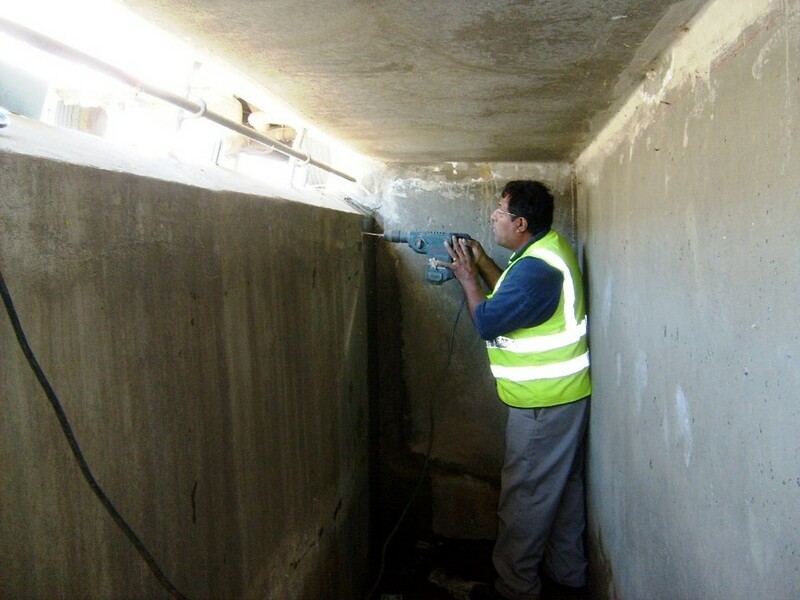 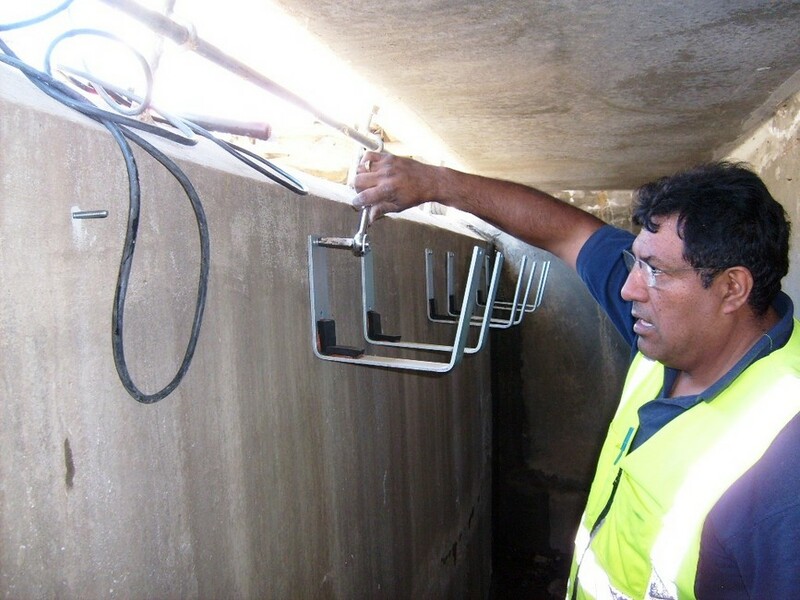 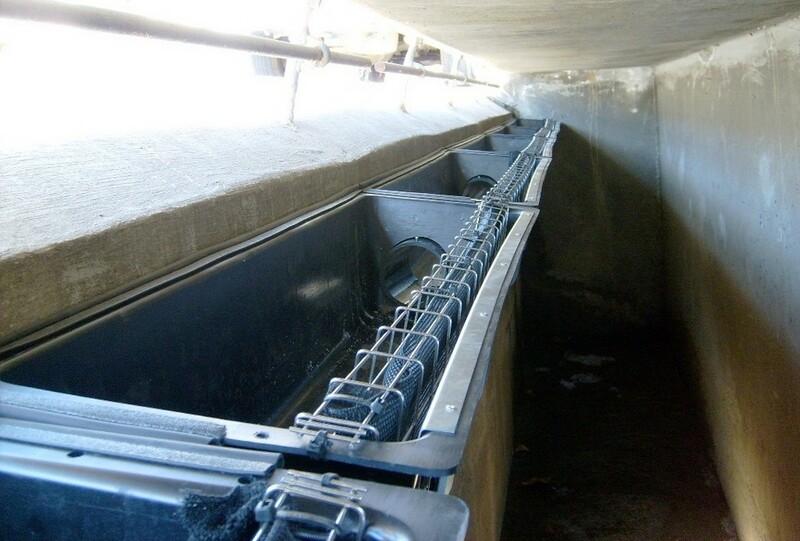 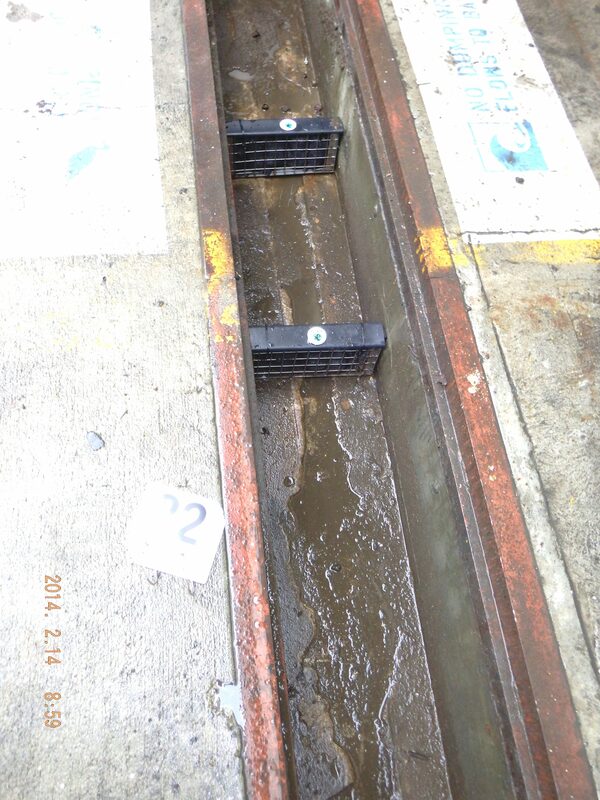 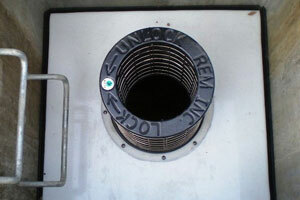 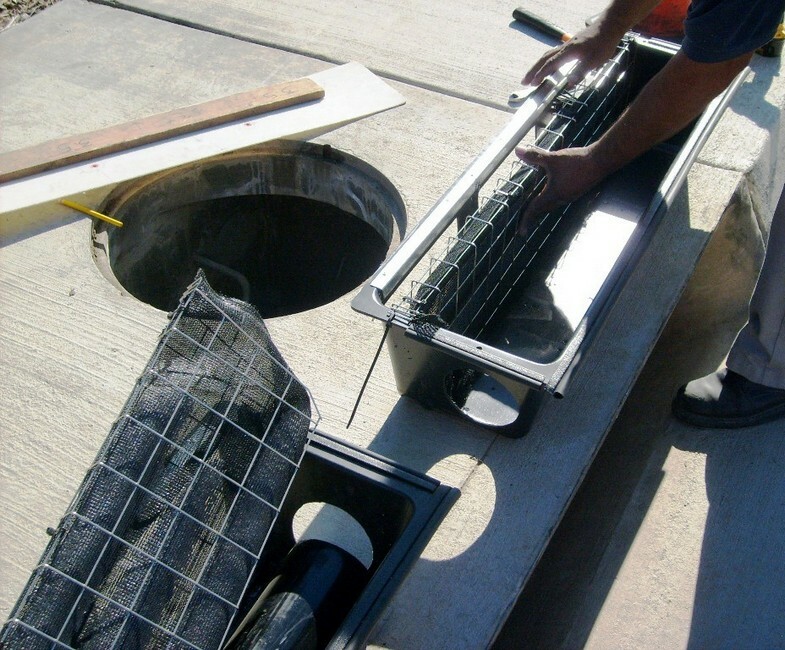 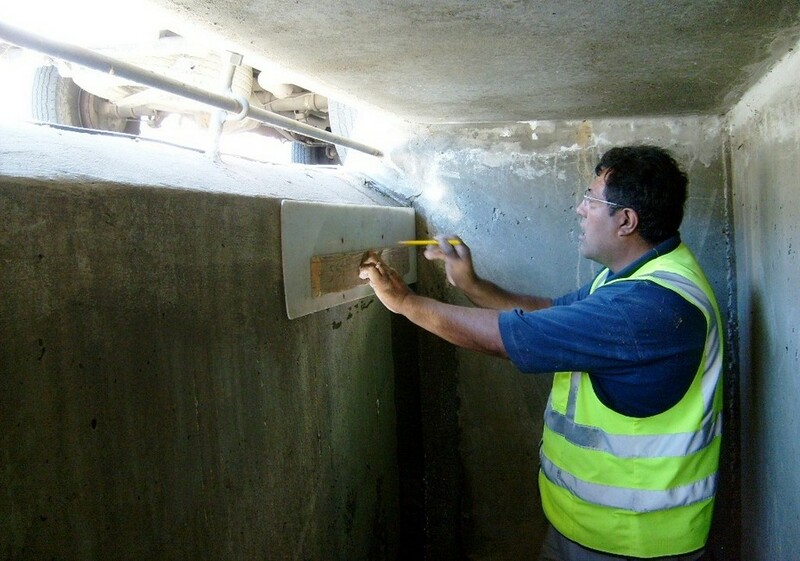 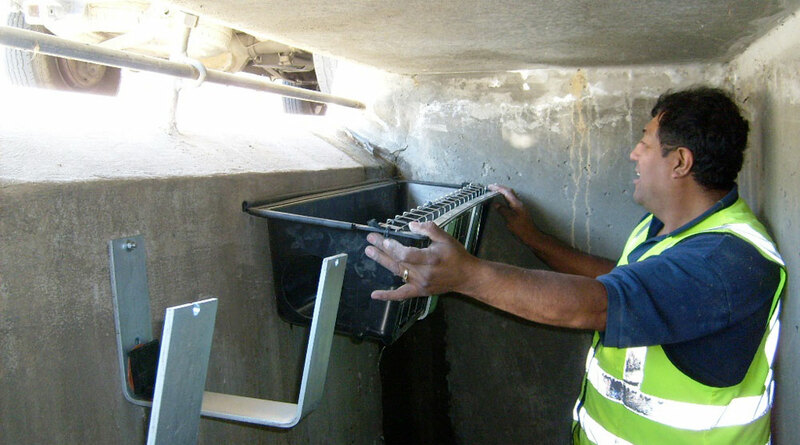 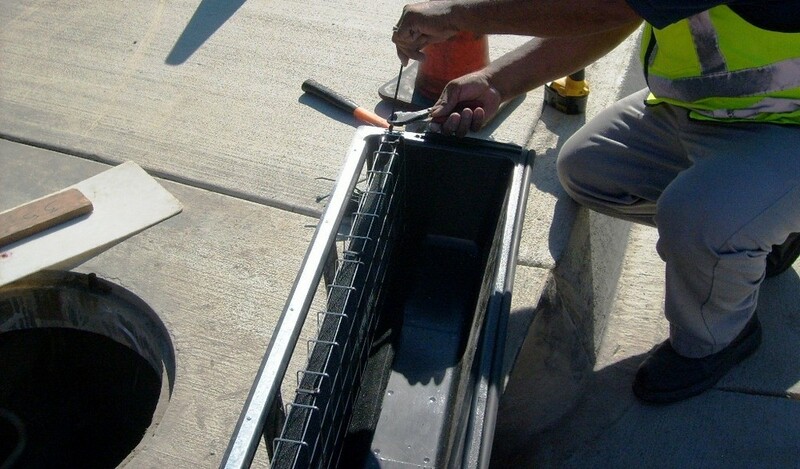 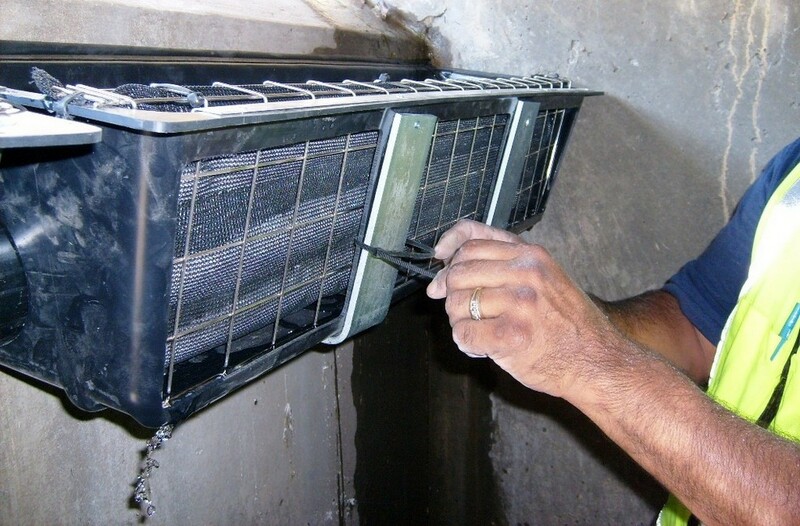 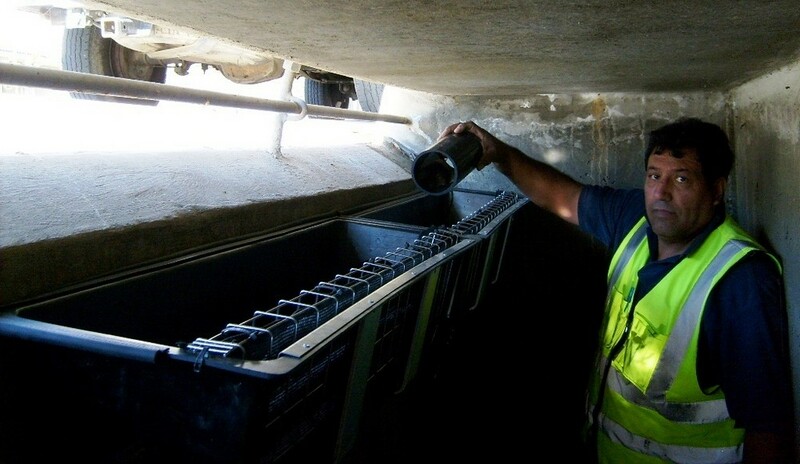 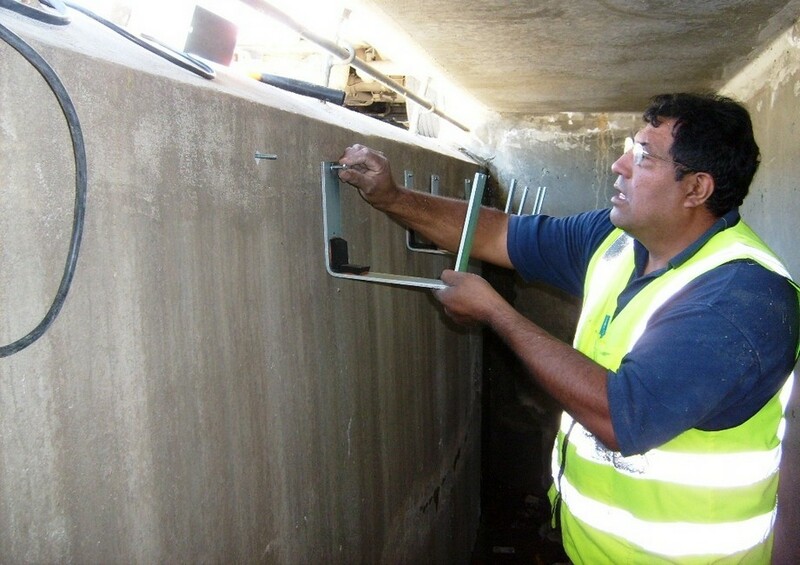 The REM Curb Inlet Filter assembly is held in place by steel cradle support brackets mounted on the catch basin wall immediately below the curb inlet opening. 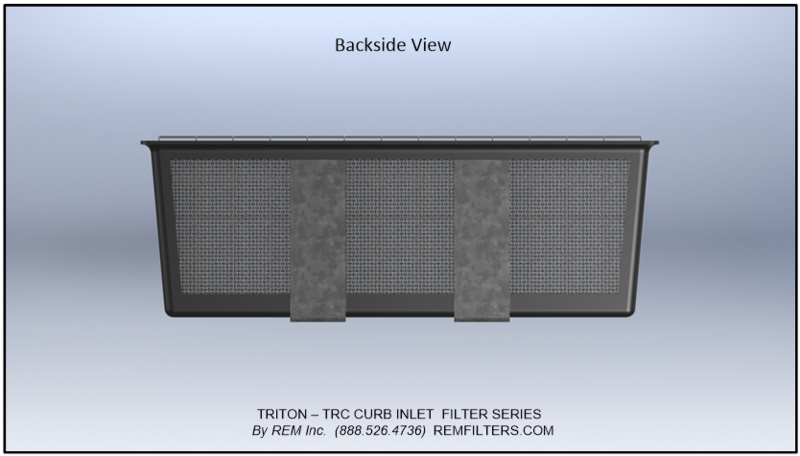 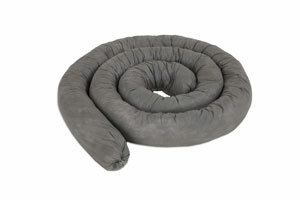 The REM TRITON Curb Inlet filter is engineered with an overflow bypass eliminating backup or pooling during high intensity rain events that exceed the treatment volume and capacity of the filter.